Established in 2014, we "Sarika Craft Bazaar Pvt. 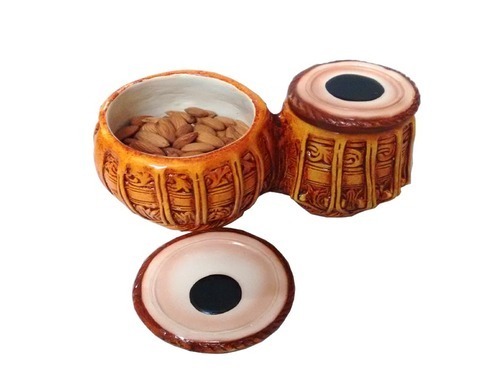 Ltd." are one of the most reputed organizations involved in the manufacturing and supplying of various Handicraft Items like of Rashi Yantra, Handicraft Shri Om Ganesha, Handicraft Products, Electric Havan Kund, Musical Mood Buddha, Flower Pot, Hand Made Box, Revolving Bowl and Serving Lady. Our handicraft items are appreciated for its appealing look, corrosion resistant quality, innovative carvings, optimum finish, perfect polish and unblemished sheen. These items promises everything to the clients – elegance, beauty, style and dignity. We also offer the customized solutions to the clients when they required. We hold expertise in fulfilling the bulk and urgent requirements of the clients according to their specifications. Our clients will definitely get fast and friendly service and we guaranteed them the full satisfaction. We offer the entire range of the beautiful products at the market leading prices without putting much burden on the pocket of the clients.